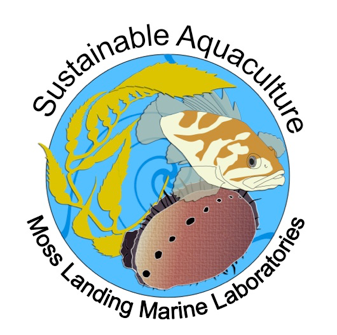 There are many current and future opportunities for undergraduate and graduate students regarding aquaculture at MLML. The opportunities include: Undergraduate students can get hands-on experience as a volunteer or potentially as a paid assistant. Current graduate students may be hired as research assistants for funded aquaculture projects. Potential graduate students can be accepted into the Master’s degree program at MLML and pursue research in an aquaculture-specific project. For those students that want to get hands-on experience either as a volunteer or potentially as a paid assistant you can contact Dr. Luke Gardner. We currently have three research projects underway and one newly funded project. Often these projects require a number of people to construct the research apparatus, maintain the organisms and infrastructure, collect data, and potentially help with data analysis. 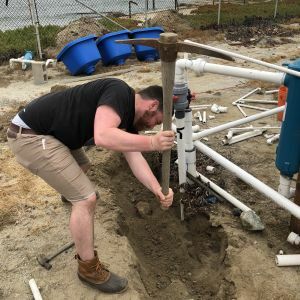 Potential skills acquired: Plumbing, power tool use, construction, and engineering, water quality sampling and sensor use, husbandry, animal care and maintenance, food preparation, reporting and data collection, data analysis and report writing. For those graduate students currently enrolled in the M.S. program at MLML there are opportunities to assist the Principal Investigators (PIs) in currently funded projects. Please contact one of the PIs listed below to inquire whether there is a need for additional help on these projects. 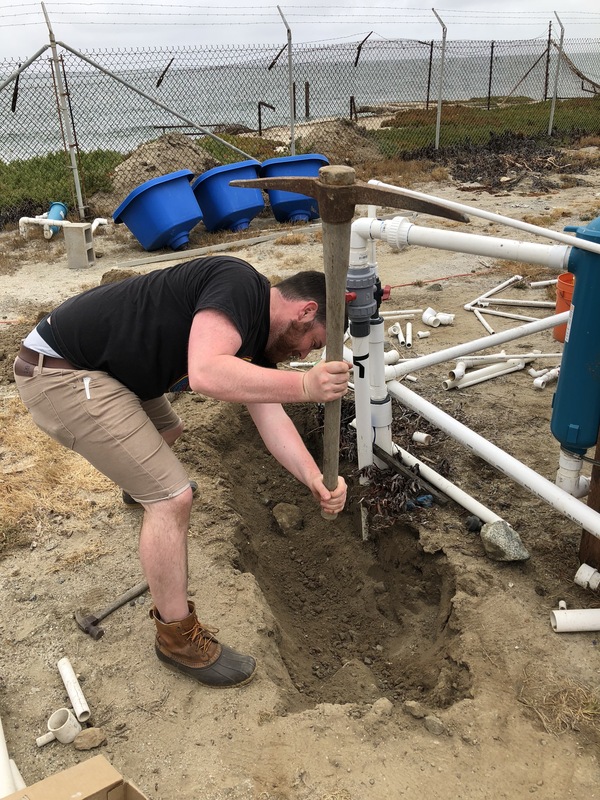 Max Rintoul working on the plumbing system for the Aquaculture Facility. 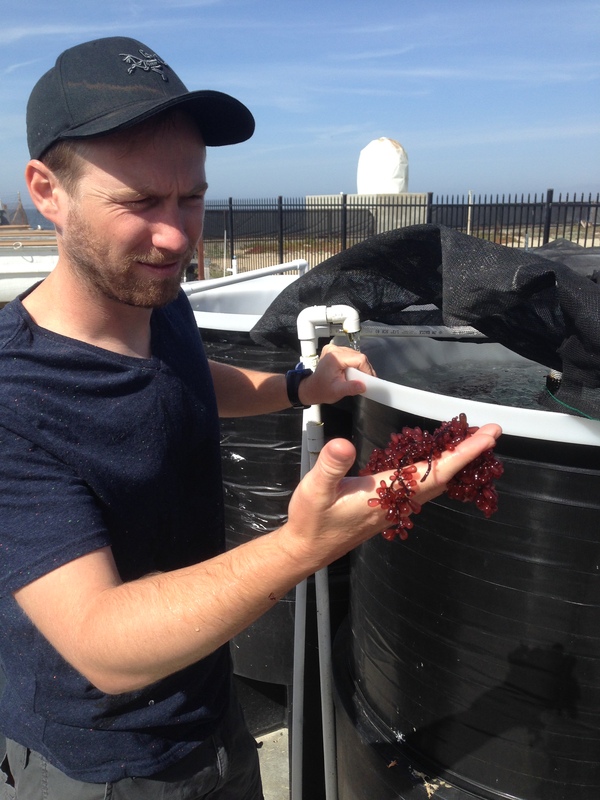 Dan Gossard holding sea grapes. Steve Cunningham with an array of clams and small oysters ready for out-planting. 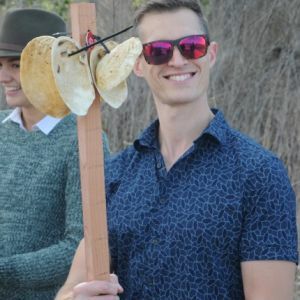 • Dr. Luke Gardner: Use of various species of algae in the diet of cattle to reduce the production of methane (funded by Ocean Protection Council). • Dr. Scott Hamilton: Effects of ocean acidification and hypoxia on the behavior, physiology, and gene expression of juvenile rockfishes (funded by National Science Foundation, Saltonstall-Kennedy, and CA Sea Grant). 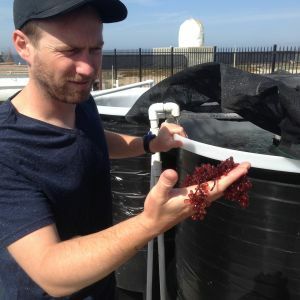 • Dr. Scott Hamilton and Dr. Mike Graham: Assessing how integrated multi-trophic aquaculture of seaweeds and shellfish might mitigate the negative effects of ocean acidification on shellfish growth (funded by NOAA Sea Grant). 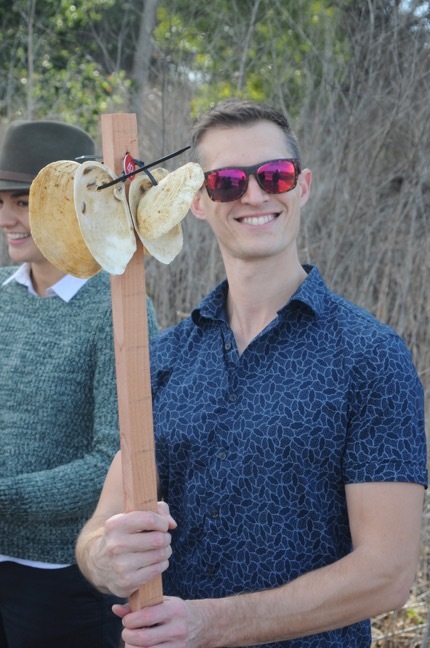 • Dr. Luke Gardner and Dr. Mike Graham: Developing a hatchery and nursery capability for the native Olympia oyster to restore populations in Elkhorn Slough (funded by Anthropocene Institute, in collaboration with Dr. Kerstin Wasson at the ESNERR). Those students interested in applying to the Masters of Science program in marine science at MLML may be interested in pursuing a research project that involves aquaculture. There are many opportunities to engage in research that progress the field of aquaculture science. • Investigating life cycles of organisms for potential rearing in captivity (e.g. spawning dynamics, reproductive output, larval development and nutrition, physiology and water quality issues). • Alternative fish nutrition. Most carnivorous fishes are fed fish-based feeds when in captivity. There is a great interest in developing fish-free feeds (F3) for fishes. • Husbandry techniques for unique aquaculture species. The number of species that have been raised in an aquaculture setting are limited but there are many species that may prove useful for aquaculture. A student could choose one or more species to experiment with husbandry techniques for those species. • Increased growth and survival of aquaculture species when integrated with other organisms (integrated multi-trophic aquaculture - IMTA). This would also include experiments with aquaponics. • Environmental and ecosystem benefits of aquaculture including determining the optimum species for bioremediation of waters impacted by excess nutrients or biofuel production.